Villa V4 - Property for sale. Full Description: Could be converted into B&B - north east of Loulé Reduced in price from 290.000 € to 250.000 € A large villa, built about 15 years ago, currently divided into 3 apartments, with the potential to convert the double garage into an additional apartment. 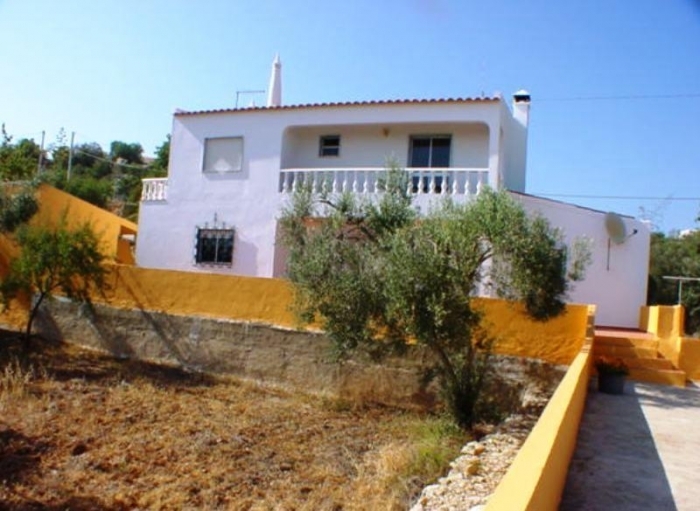 Located in a quiet area with easy access to Loule and splendid views to the coast. First floor – 1 bed apartment v Living area / kitchen v Bedroom with door to terrace with views to the coast v Shower room Ground floor – 1 bed apartment v Living area / kitchen v Bedroom v Shower room Ground floor – 2 bed Owner’s apartment v Living-dining room and doors to terrace with views to the coast v Kitchen v 2 bedrooms v Bathroom v Shady patio area with large palm tree, BBQ & living room / store room Garage: v Large double garage with 2 rooms v Shower room v Large roof terrace Mains electricity. telephone and borehole. This listing has been viewed 729 times.